Här följer ett urval av publikationer som kanske kan vara av intresse. Efter bilderna följer referensdata direkt här på sidan eller i det mer utförliga pdf-dokumentet. Ottosson, Mikael och Frankelius, Per (2013). ”Är begreppet hållbar marknadsföring hållbart?”. Paper presenterat vid sessionen ”Hållbar marknadsföring och konsumtion” under FEKIS-konferensen ”Företagsekonomi för en hållbar värld”. Ekonomihögskolan, Lunds universitet, 23–24 oktober. 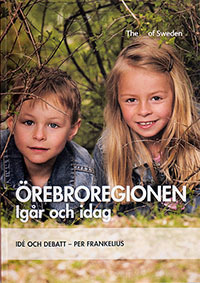 FEKIS står för Föreningen Företagsekonomi i Sverige. Frankelius, Per: Gunnarsson, Claes; Hultman, Claes and Johanzon, Conny: What’s in it for me? How to understand relevance when designing greentech export assistance programs. Paper at 18th annual international conference on innovation “Baltic Dynamics 2013”, September 11–13, Riga, Latvia. Gunnarsson, Claes; Frankelius, Per; Hultman, Claes and Johanzon, Conny (2012), Exploring Export Barriers of Cleantech Businesses: An Interview Survey of Swedish Cleantech Companies. Accepted paper presented at Greening of Industry Network Conference, GIN, Linköping, 22–23 October. Frankelius, Per; Hultman, Claes, Linton, Gabriel; Johanzon, Conny and Gunnarsson, Claes (2011). The cleantech mystery: A new theoretical model for understanding export capabilities in small and medium-sized innovative cleantech companies. The R&D Management Conference 2011: R&D, Sustainability & Innovation, the need for new ideas, initiatives and alliances, Norrköping, Sweden 28-30 June. Frankelius, Per (2013). “Satelliter och flyg lyfter jordbruket till nya höjder”. 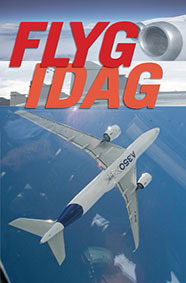 I Flyg idag – Flygets Årsbok 2013. Stockholm: Flygboken.se, s. 94–131. Linnaeus and his integration of nature and economy?” Research paper accepted by and presented at The 56th Annual ICSB World Conference, Stockholm, Sweden, June, 15–18, 2011 (Track: Sustainable Innovation, Entrepreneurship and Growth, Friday June 17, 2011). Frankelius, Per & Norrman, Charlotte (2013). Uppfinningars betydelse för Sverige – Analys och förslag för hur den svenska innovationskraften kan utvecklas och tas tillvara bättre. Stockholm: Vinnova och Linköping: Linköpings universitet. 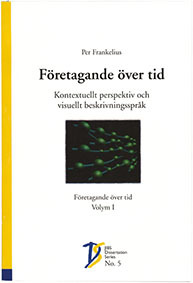 Frankelius, Per (2007). 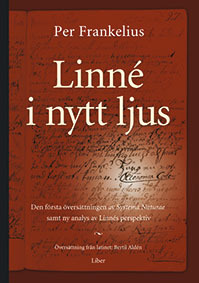 Linné i nytt ljus – Den första översättningen av Systema Naturae samt ny analys av Linnés perspektiv (Linnaeus in a new light: The first translation of Systema Naturae and a new analysis of Linnaeus perspective). Translation of latin parts: Bertil Aldén. Malmö: Liber. 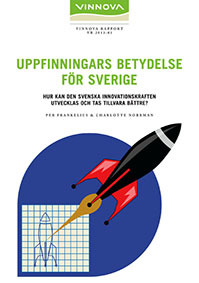 The book was published with financial support from Bank of Sweden Tercentenary Foundation (Riksbankens Jubileumsfond) and published also via financial support by Swedish Governmental Agency for Innovation Systems (VINNOVA). Before publication the Bank of Sweden Tercentenary Foundation organized a Peer Review Process of the manuscript. 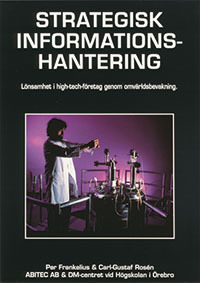 ISBN 47-08759-4. 240 pp. Frankelius, Per (2010). Searching for innovation excellence. 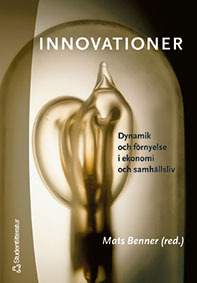 InnovationManagement, 29 January (published on www.innovationmanagement.se). Frankelius, Per (2009). Questioning two myths in innovation literature. Journal of High Technology Management Research, Vol. 20, No. 1, pp. 40–51. Frankelius, Per (2013). ”Brilliant combinations of art and nature: Learning points from the world of opera and classical Music”, Chapter 15 in Lars Lindkvist and Lisbeth Lindeborg (eds). 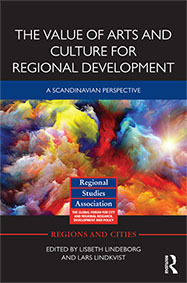 The Value of Arts and Culture for Regional Development – A Scandinavian Perspective, London: Routledge April 2013, pp. 232–251). ISBN: 978-0-415-63837-1. Frankelius, Per and Krause, Kirsten (2011). 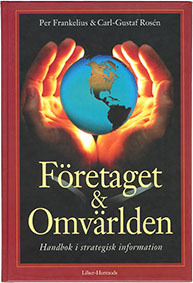 “Emergence of the Clean Technologies Sector in Sweden”. In: Kaija Valdmaa and Tarmo Kalvet (Eds): Emergence of the Clean Technologies Sector in the Baltic Sea Region (Report from the Central Baltic Interreg IVA project “Enabling a Global Vision for the Baltic Cleantech Industry”). Tallinn: Tallinn University of Technology, pp. 45–157. Kalvet, Tarmo; Valdmaa, Kaija; Frankelius, Per; Krause, Kirsten; Vanags, Juris and Brakovska, Vita (2011). “Clean Technology Developers and Policies in Sweden, Estonia and Latvia - Conclusions”. In: Kaija Valdmaa and Tarmo Kalvet (Eds): Emergence of the Clean Technologies Sector in the Baltic Sea Region (Report from the Central Baltic Interreg IVA project “Enabling a Global Vision for the Baltic Cleantech Industry”). Tallinn: Tallinn University of Technology, pp. 349–365. Kalvet, Tarmo; Valdmaa, Kaija; Frankelius, Per; Krause, Kirsten; Vanags, Juris and Brakovska, Vita (2011). Emergence of the Clean Technologies Sector in the Baltic Sea Region – Executive summary (A publication from the Central Baltic Interreg IVA project “Enabling a Global Vision for the Baltic Cleantech Industry”). Tallinn: Tallinn University of Technology. Frankelius, Per (2011). 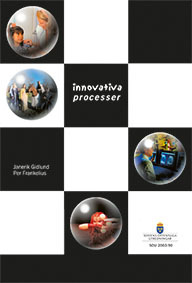 ”Innovative processes: experience drawn from the creation of Dalhalla”. 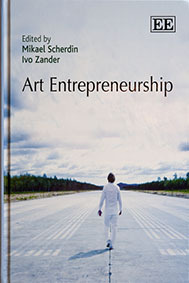 In Ivo Zander and Mikael Scherdin (Eds. ): Art Entrepreneurship, Cheltenham, UK and Northamton, MA, USA: Edward Elgar Publishing, pp. 98-141. Frankelius, Per (2010). 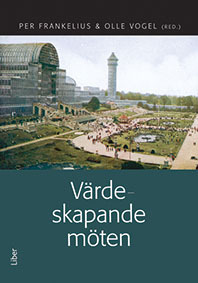 “Konsten att väva samman kultur, natur och ekonomi” (The art of integrating art, nature and economy). 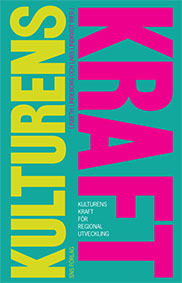 In Lisbeth Lindeborg and Lars Lindkvist (Eds): Kulturens kraft som regional utvecklingsmotor (The power of culture as a regional development force). Stockholm: SNS, pp. 300-328. Frankelius, Per (2008). ”Linnaeus, the innovation economist?”. 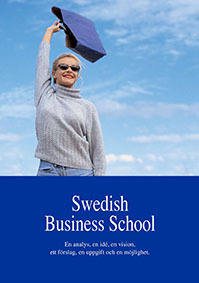 In Claes Hultman & Jan Löwstedt: Contemporary Research at Swedish Graduate School of Business. Västerås and Örebro: Mälardalen University and Örebro University, pp. 45–72. Frankelius, Per (2011). ”Innovation out of nature: A new model derived from Carl Linnaéus in the 18th Century”. The R&D Management Conference 2011: R&D, Sustainability & Innovation, the need for new ideas, initiatives and alliances, Norrköping, Sweden 28-30 June. Accepted after Peer Review Process. 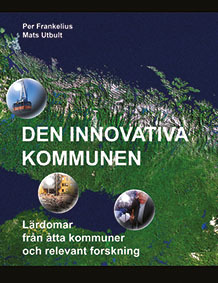 För mer utförlig publikationslista, se pdf-dokumentet.